Stop #06 Boom Babies Mural, Harvard Pl. at Westcott St. 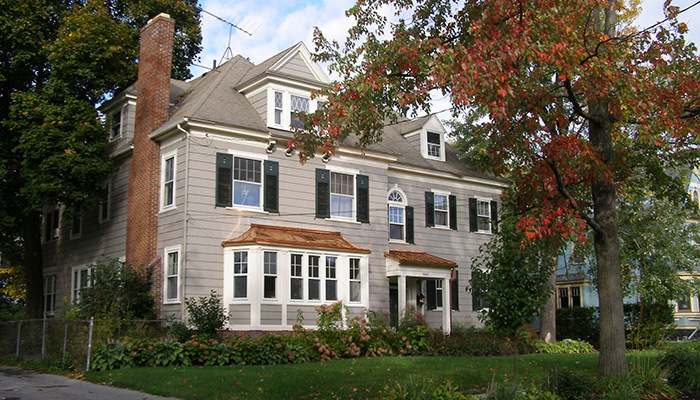 This tour visits the neighborhood east of Westcott Street between Harvard Place and East Genesee Street, with a short walk north of East Genesee to tour the 300 block of Allen Street. At the heart of the tour are the impressive 400 and 500 blocks of Allen Street, developed by Joseph Pennock at the beginning of the 20h century. 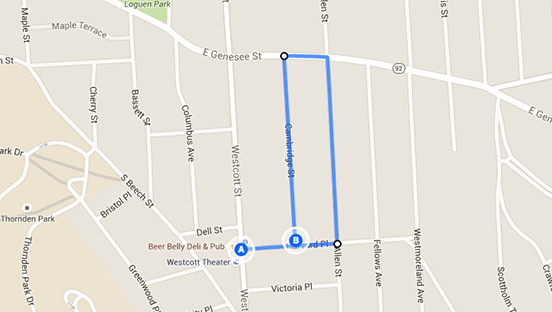 The tour begins at Westcott Street and Harvard Place and proceeds east on Harvard Place as far as Fellows Ave. It then doubles back to Allen Street and proceeds north, crossing East Genesee Street. Doubling back again, the walk proceeds along East Genesee to Cambridge Street and then follows Cambridge Street, ending at Harvard Place again. This detail from the 1892 Hopkins city atlas shows the area laid out but not yet developed. Note the early names of many of the streets: Phelps will be changed to Harvard and Curtis Street will become Cambridge Street.